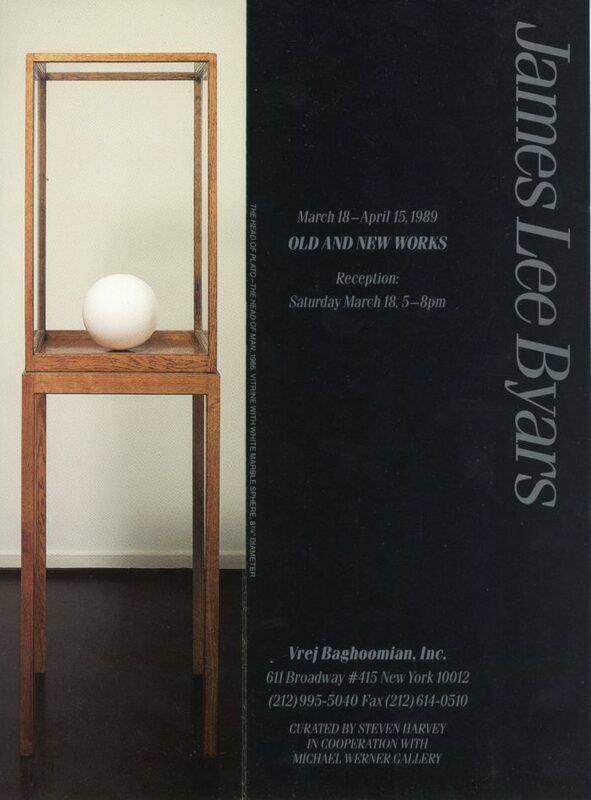 Folded card for James Lee Byars’ Old and New Works exhibition at Vrej Baghoomian, Inc., 1989. Inside of card features Byars’ The Head of Plato – The Head of Man, 1986. Outside of card is solid black. 4″ x 9″ folded. 6.75″ x 9″ unfolded.